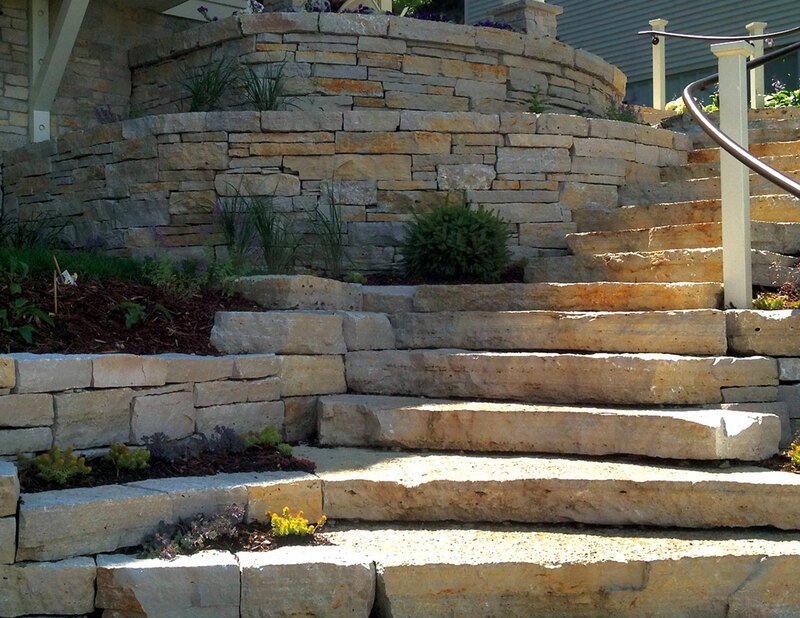 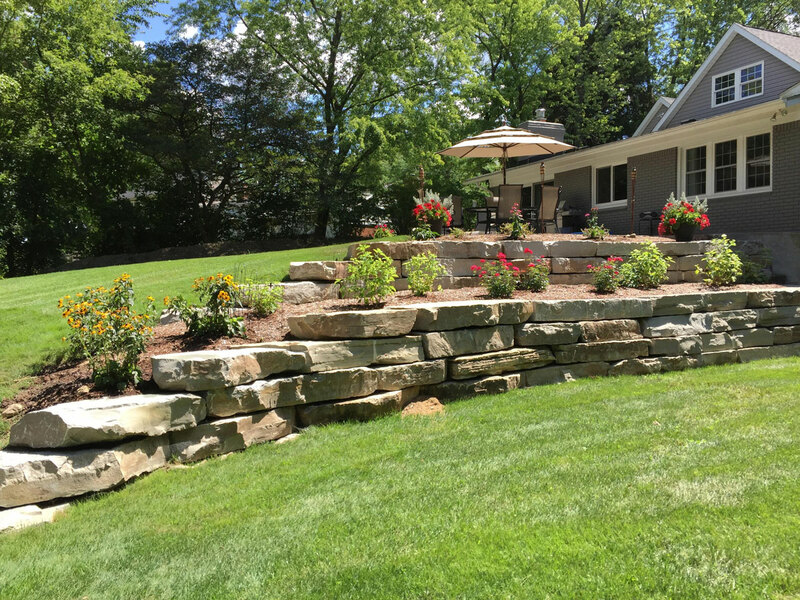 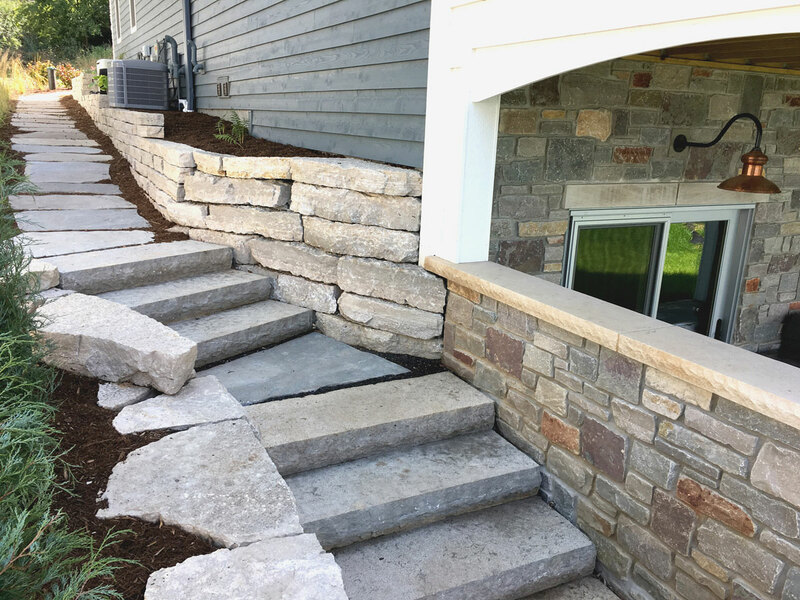 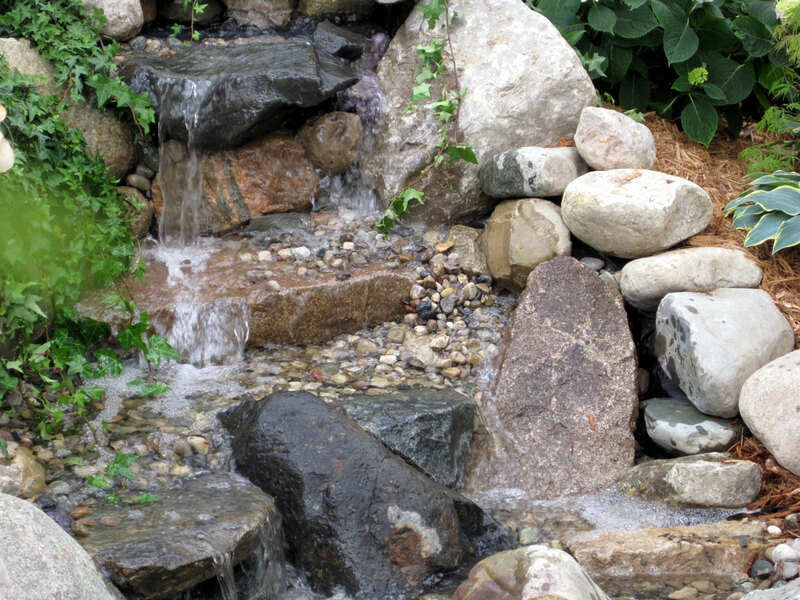 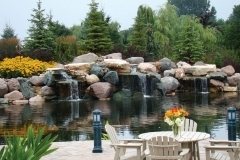 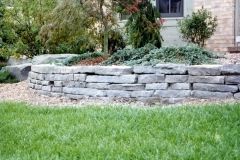 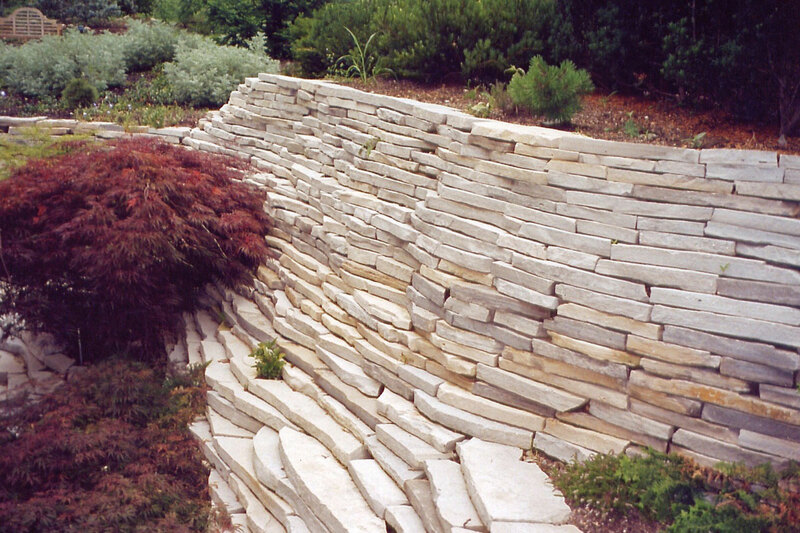 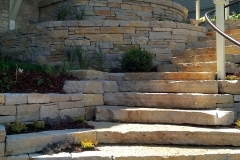 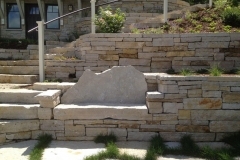 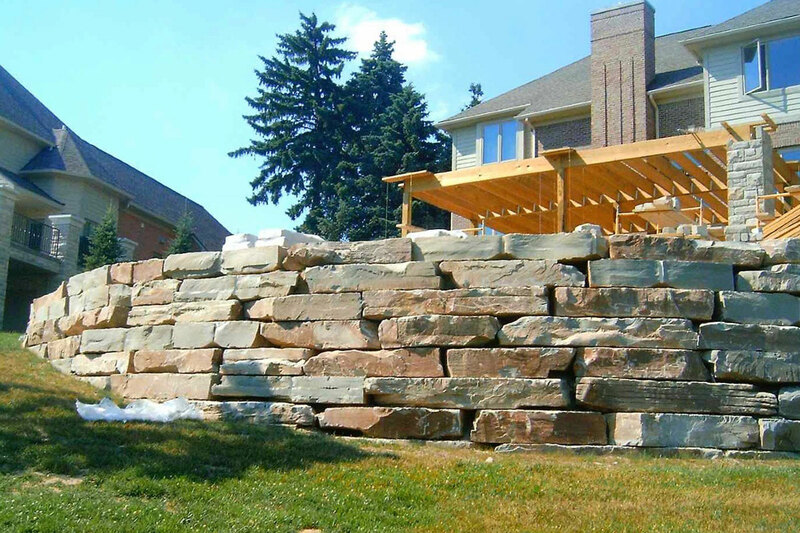 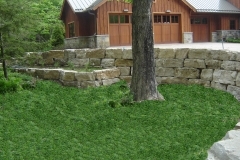 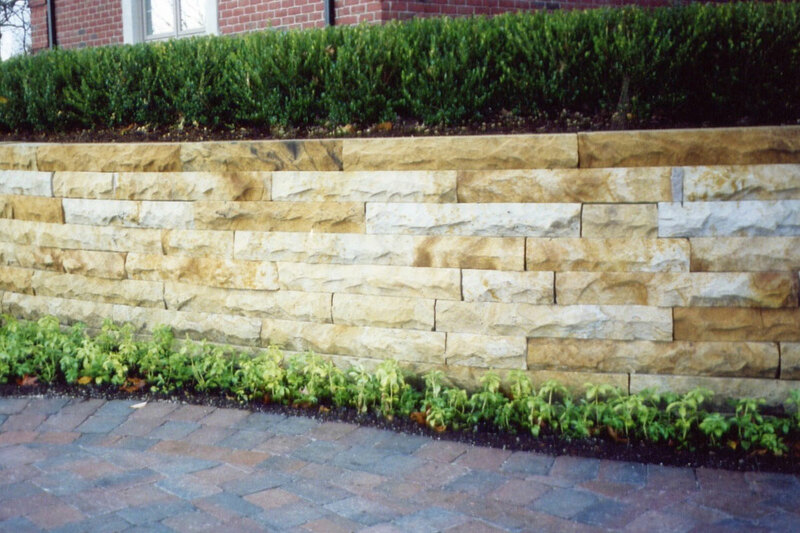 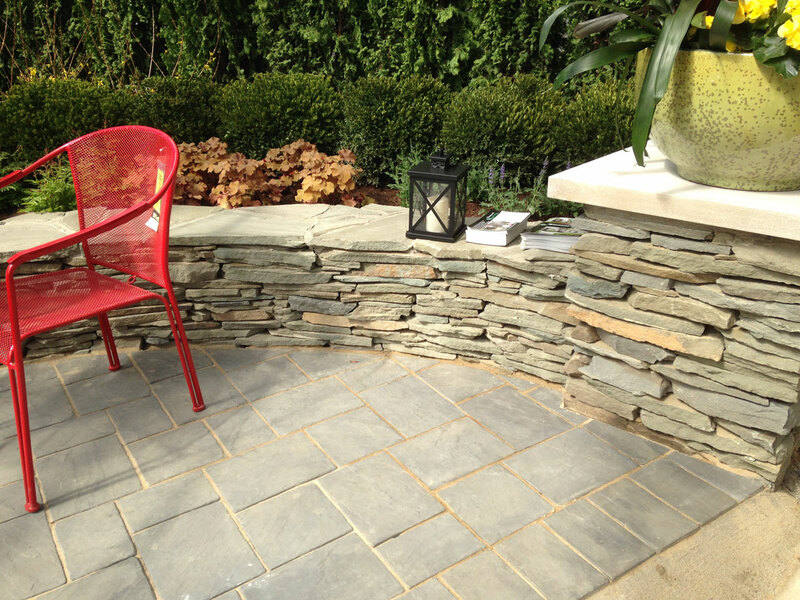 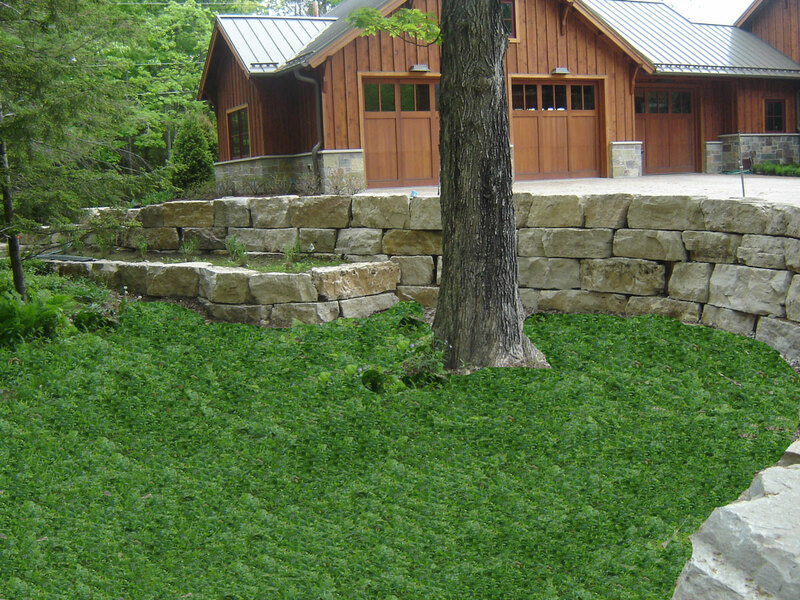 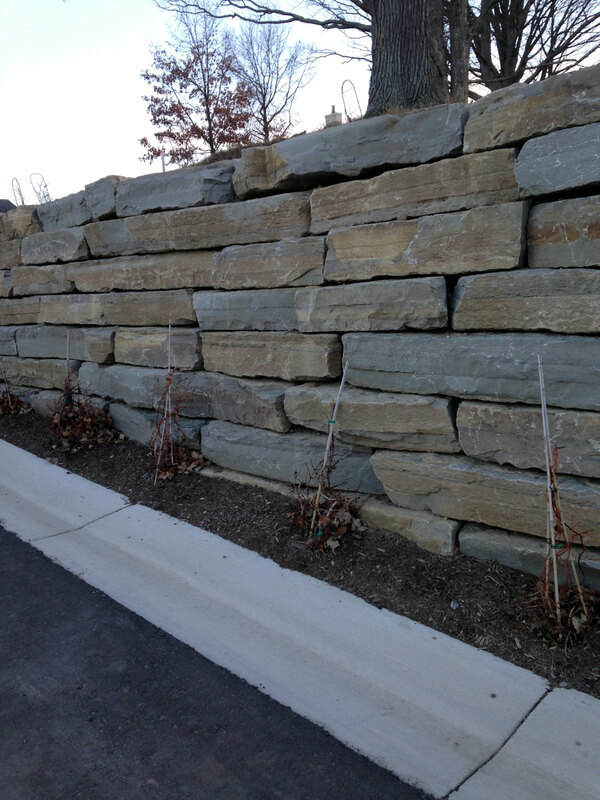 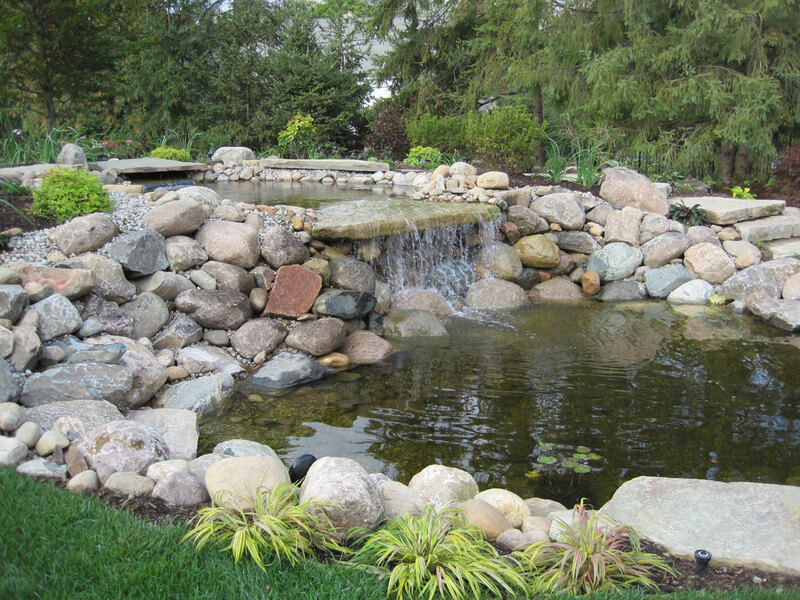 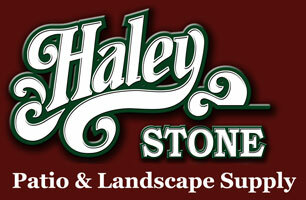 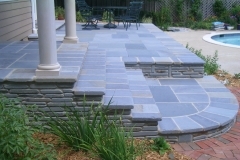 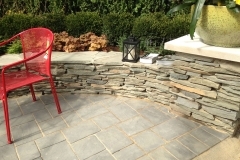 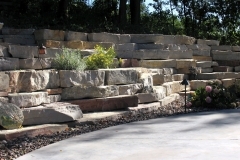 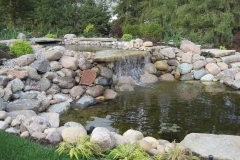 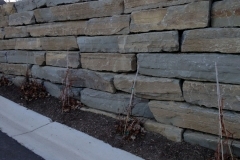 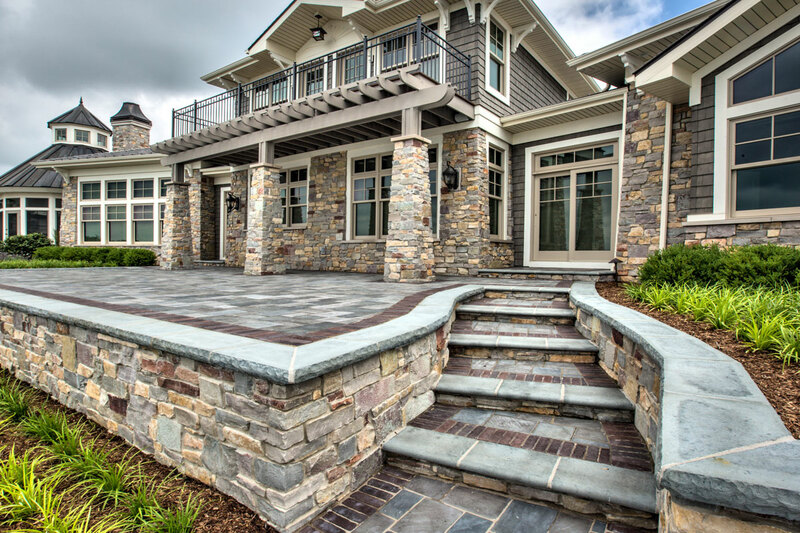 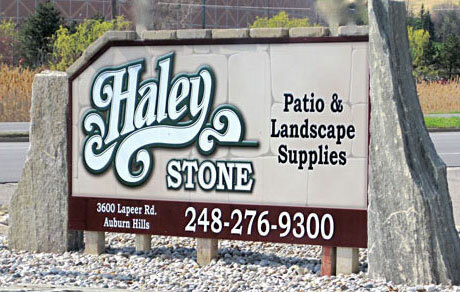 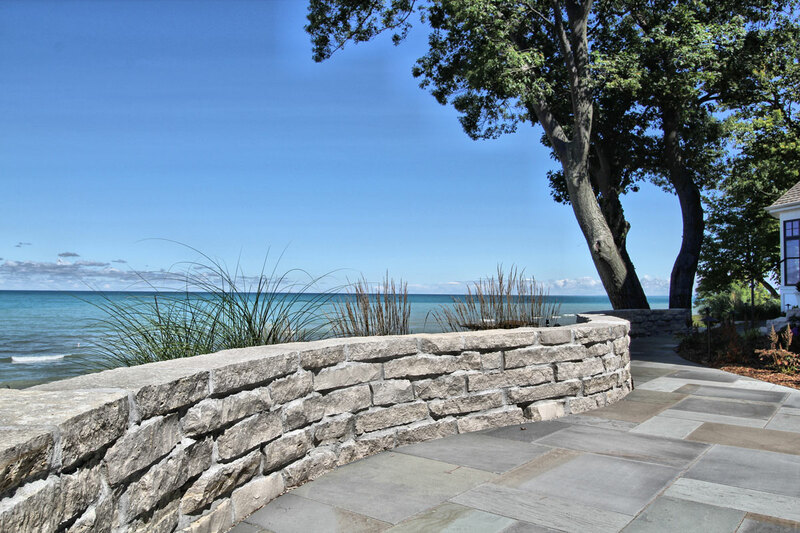 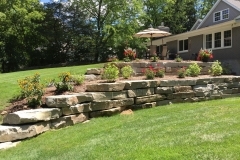 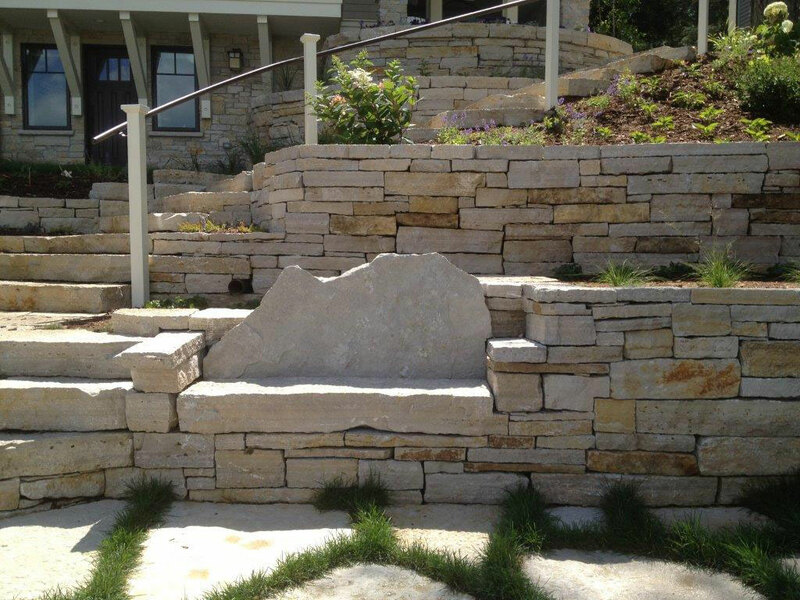 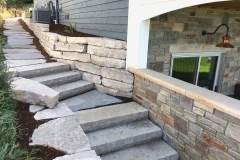 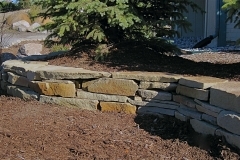 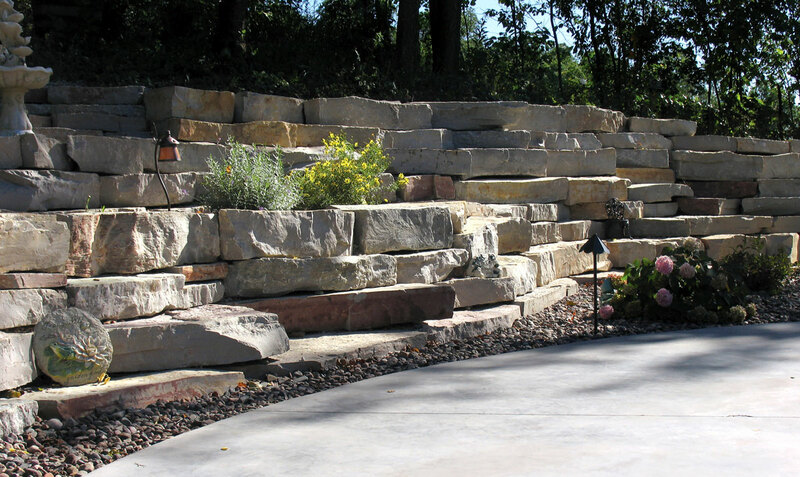 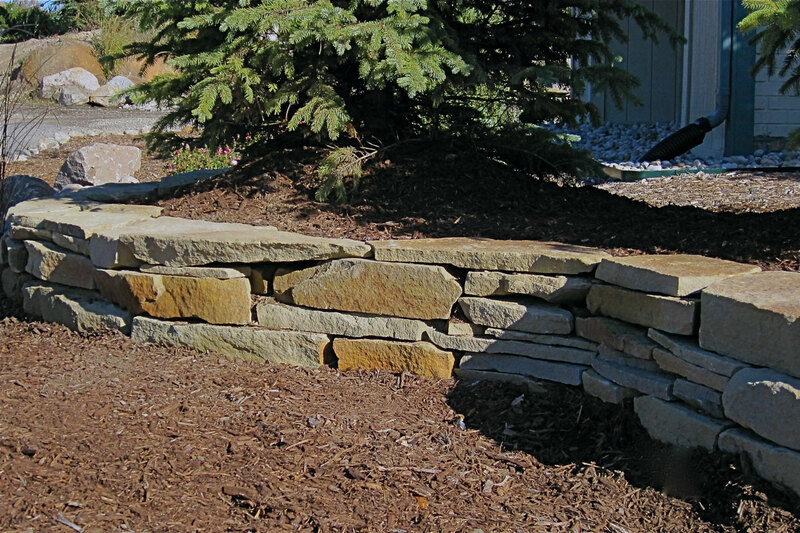 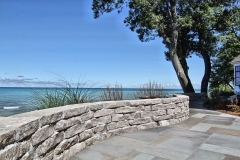 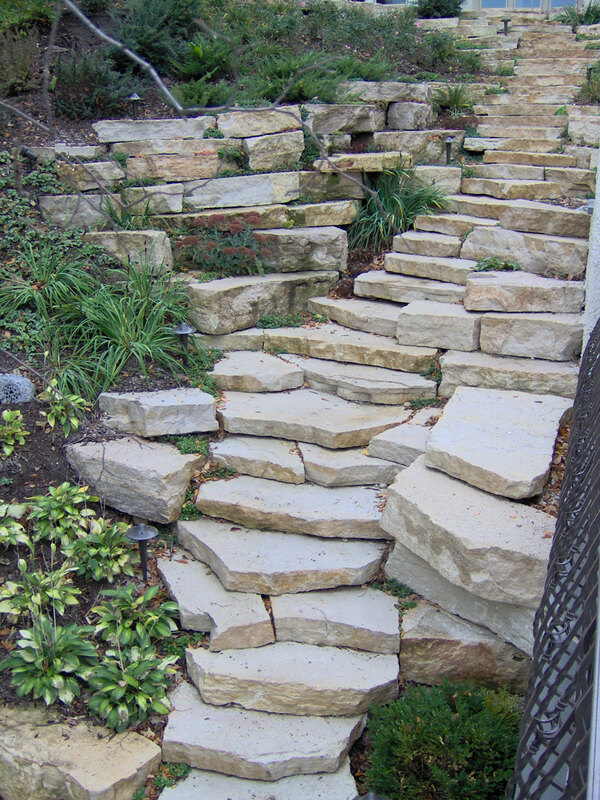 Natural Wallstone is mined and sorted to be used for landscape retaining walls. 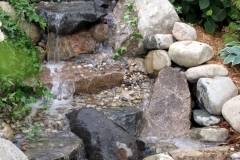 Individual stones will vary in color, shape, thickness and density. 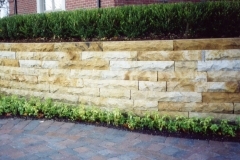 Sold by weight, typically one ton of wallstone will build a wall 20 feet long by 1 feet tall (average depth 8”-9”). 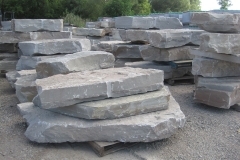 Smaller quantities are sold by the pound. 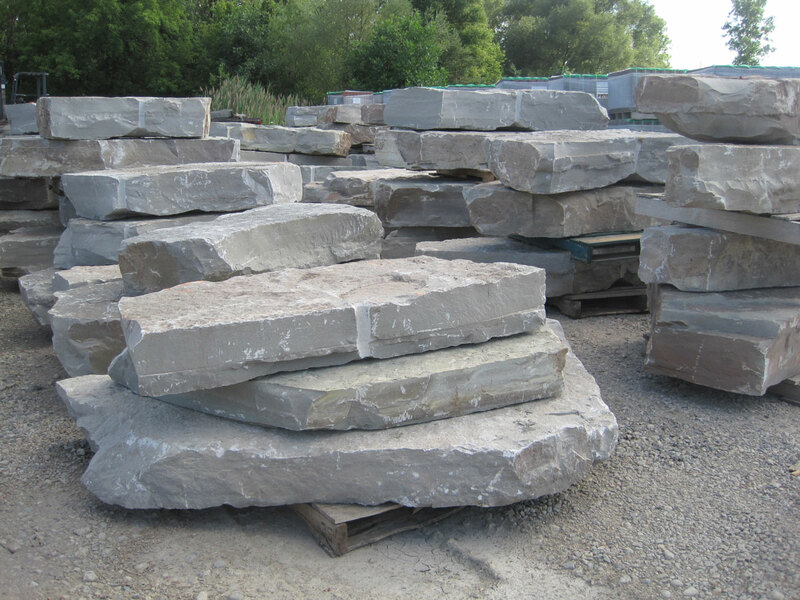 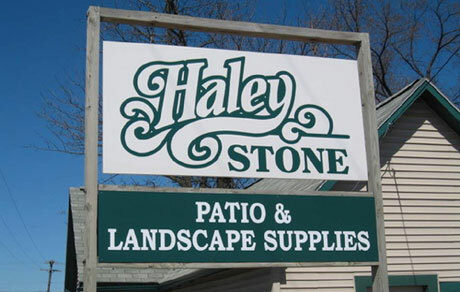 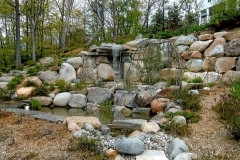 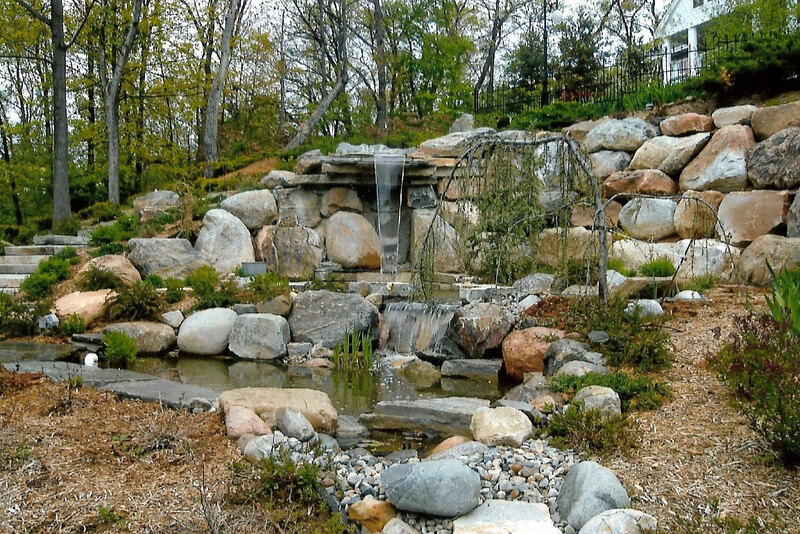 Outcroppings are simply larger natural stone pieces and are also sold by the pound or ton. 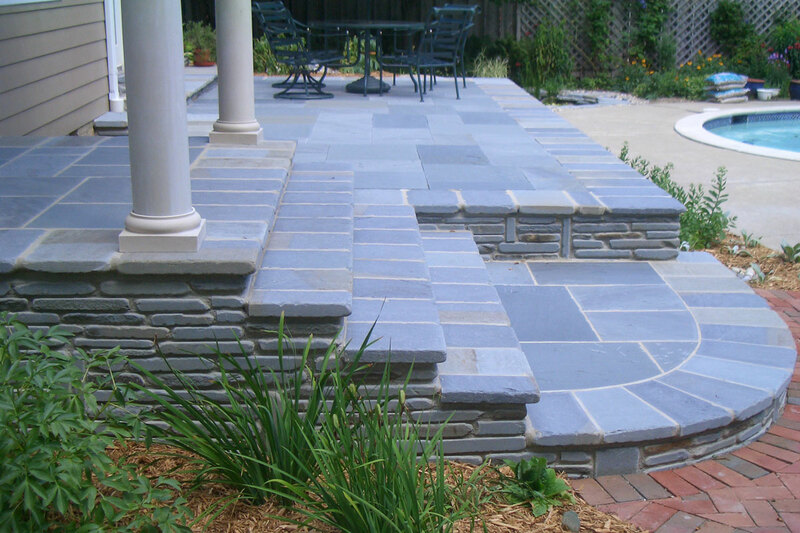 Their coverage is considerably less and you can usually expect to get somewhere between 6-10 square feet per ton. 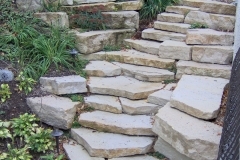 They can also be used as natural steps.